OSSC Recruitment 2016: The Odisha Staff Selection Commission has also called as OSSC which has been invites the application from the eligible candidates for the post of 645 Statistical Field Surveyor Jobs. The applicants who are looking the latest govt jobs in Odisha can apply the OSSC Statistical Field Surveyor recruitment 2016. If you going to apply the online application form through the official site, you must check the eligibility criteria on the Odisha SSC notification 2016. Our Indrajobinfo.co.in website has attached the direct link for the OSSC application form & advertisement. Further details like age limit, educational qualification, how to apply, selection process, pay scale and other information given here. This is one of the golden opportunity for the candidates. So the applicants can utilize the OSSC Statistical Field Surveyor jobs 2016. 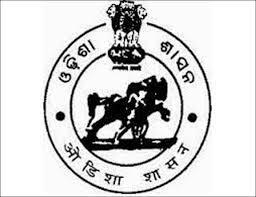 Name of the Commission: Odisha Staff Selection Commission (OSSC). Number of Post: 645 Vacancies. Category Name: Odisha Staff Selection Commission Jobs 2016. The candidates must complete the 10+2 exam from a recognized board of the school or institute can eligible to apply the OSSC Statistical Field Surveyor jobs 2016. The age limit of the applicants must be minimum 21 years and maximum 32 years as on 01.01.2016. The upper age limit will be applicable for reserved applicants as per the government norms.. The selection of the aspirant in OSSC Statistical Field Surveyor vacancies 2016 will be based on performance in the written exam and document verification process. The aspirants will be getting the scale of pay Rs. 5400/- to Rs. 20200/- + Grade Pay Rs. 1800/-. For more details check on the OSSC official notification 2016. There is no application fee for the SC/ST/PWD candidates. Log on the official site ossc.gov.in. Eligible aspirants can apply the online registration. Opening date of online application: 25th Nov 2016. Closing date of online registration: 24th Dec 2016. Date of written exam: Update Soon. OSSC Statistical Field Surveyor Notification 2016. Odisha SSC Statistical Field Surveyor Online Application Form 2016.